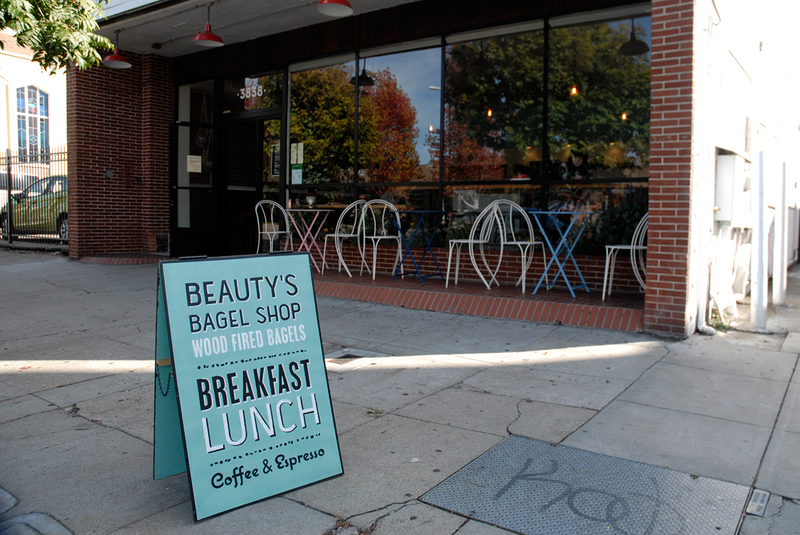 East Bay Bagel Smackdown: Beauty's vs. 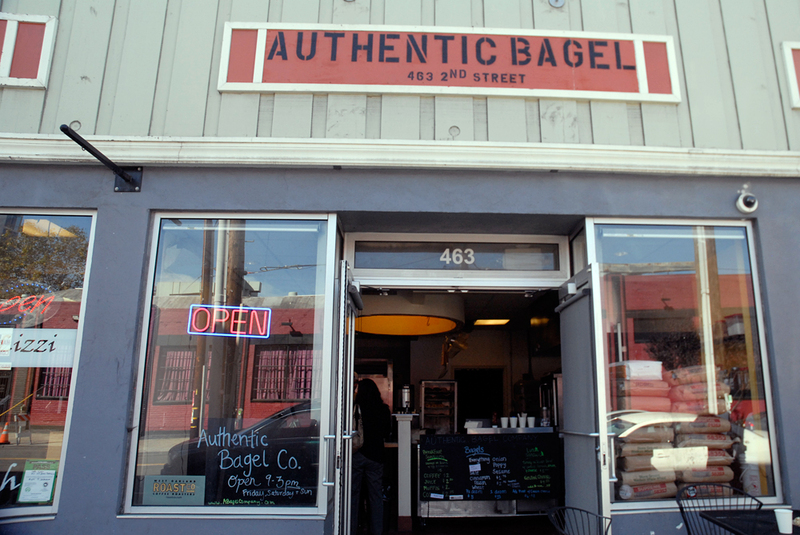 Authentic Bagel Co.
Food trends go in waves, even right in your neighborhood. Upscale frozen desserts, creative doughnuts, thin-crust pizza, retro cocktails with three kinds of artisanal bitters in them: they aren't there, and then, suddenly, five places selling them spring up within a handful of blocks. Donut Savant begets Doughnut Dolly, Ici's banana-curry ice cream is followed by Scream's coconut-Thai basil sorbet. 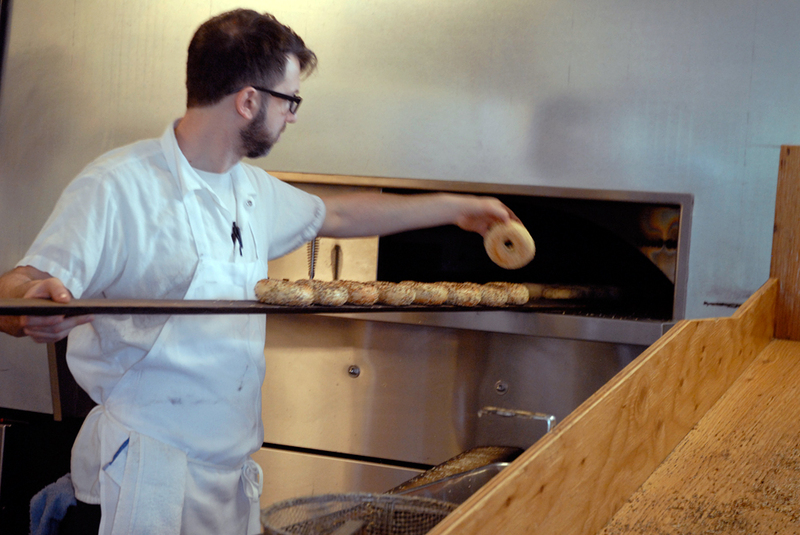 Bagels come out in waves, baked in a wood-fired oven and expertly, showily flipped by Beauty owner-baker Blake Joffe into a long, seed-scattered chute before filling the bins behind the cash register, still oven-hot. 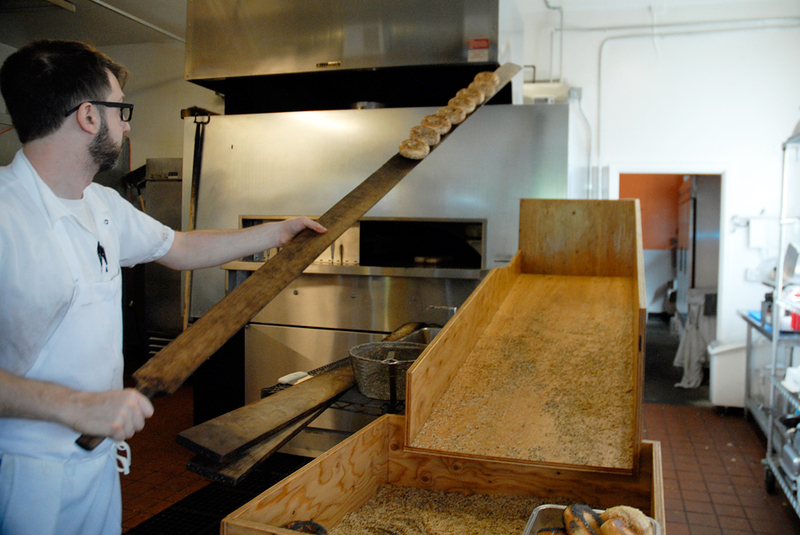 (The flip is really just for show, the bagel-baker's version of the Pike Place Market salmon toss. "Kids love it," he deadpans.) 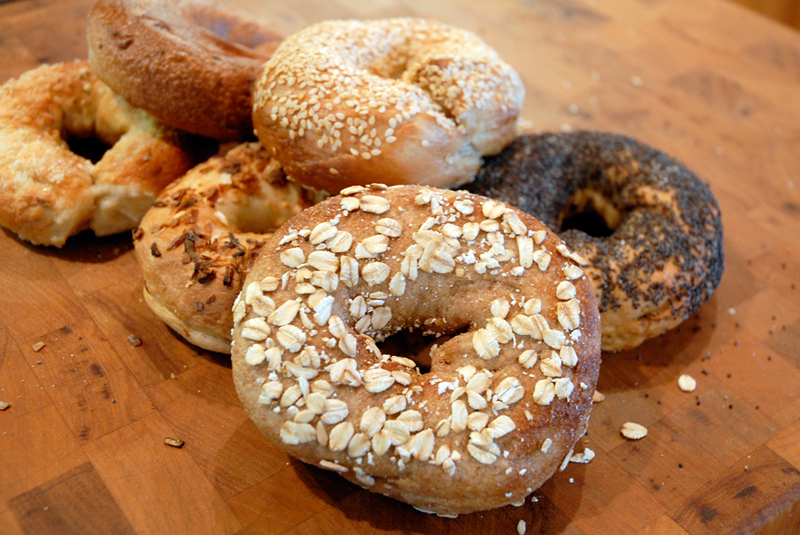 Any bagel is delicious fresh out of the oven, and these don't disappoint. They're nicely sized, not puffed-up behemoths. 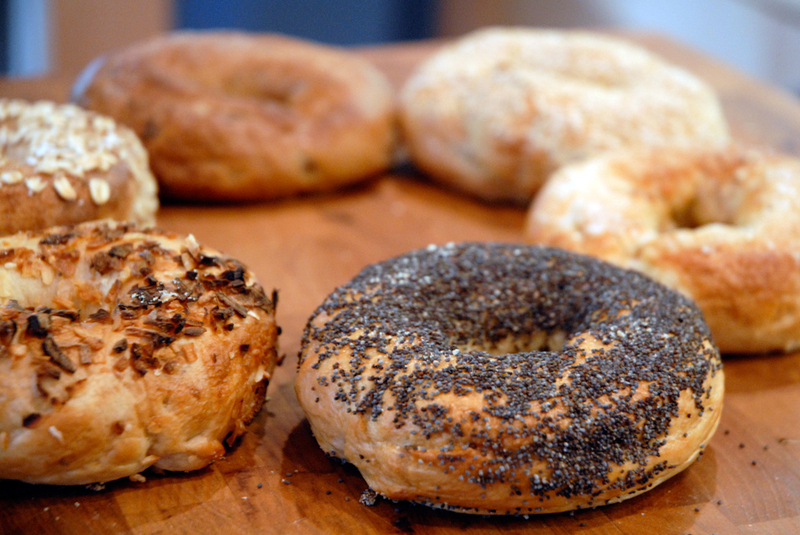 The crust is a slim, shiny coating instead of a sink-your-teeth-in-and-pull that I remember as a highlight of the bagels of my New York/New York childhood, but the crumb has just the right balance of density and loft. 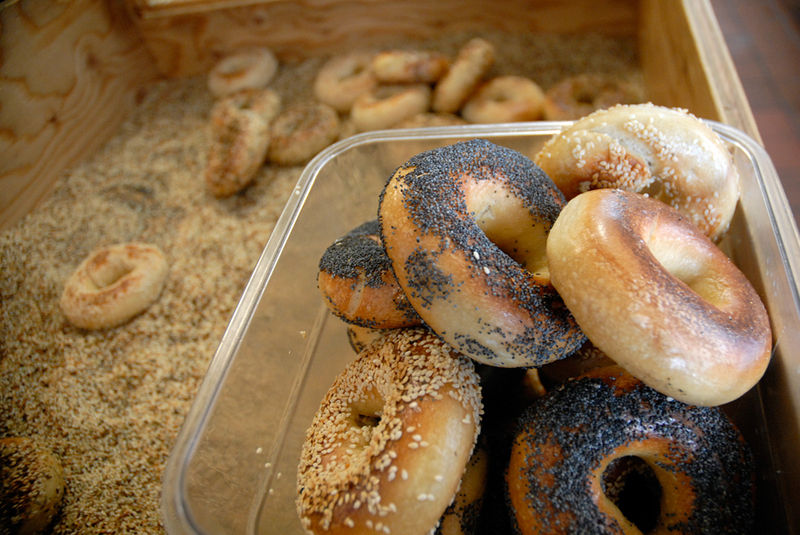 And the whole-wheat bagels, both sesame and "everything" (fennel, caraway, poppy, and sesame seeds, plus salt, pepper, and onion), manage to taste both healthy and bagel-y, with a full whole-grain taste that nonetheless still pushes the right bagel button, even if the green, licorice-y flavor of fennel isn't exactly part of the typical salty-savory everything-bagel experience. 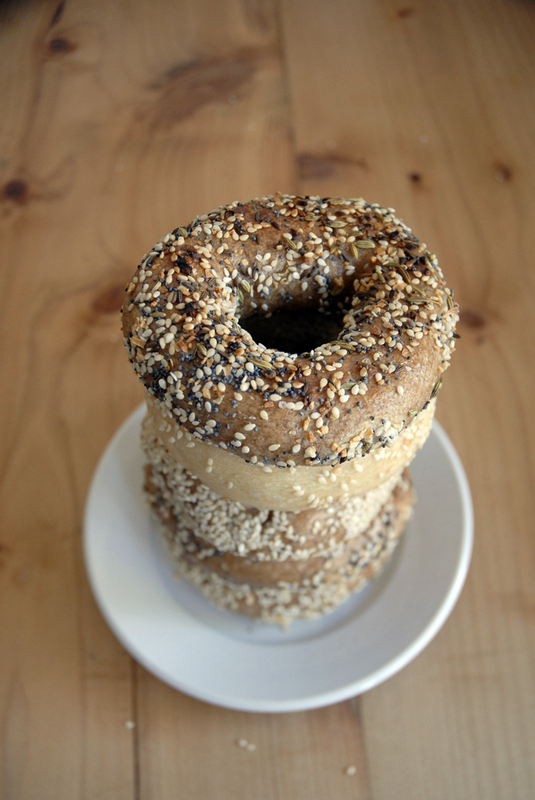 "It's a hybrid bagel," says Joffe. "Not exactly Montreal, not exactly New York." 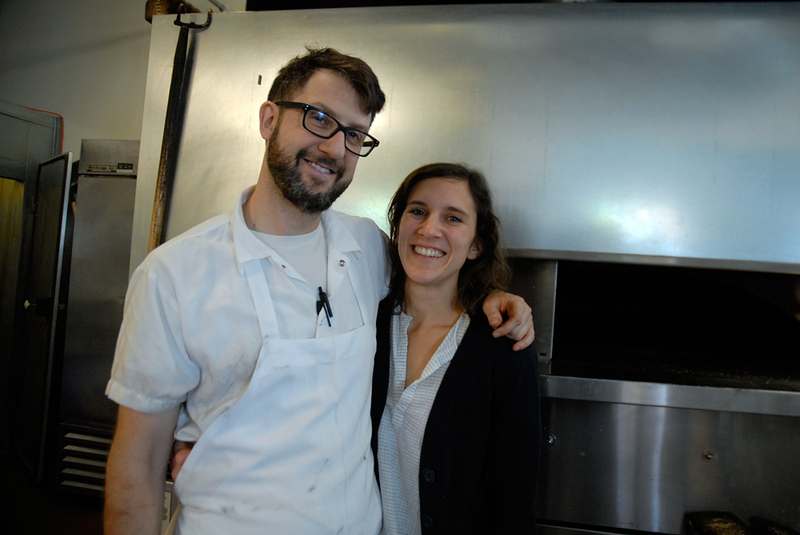 Having moved to Oakland from Philadelphia, Joffe and his co-owner and partner Amy Remsen also plan to offer some tastes of Pennsylvania on their menu, like scrapple and sticky buns. Now that local tomatoes are out of season, they're off the menu, which is a sad loss for the otherwise tasty lox sandwich, thick slices of Scottish-salmon lox from Water 2 Table, swathed over pleasantly tangy Sierra Nevada cream cheese (no relation to the beer), with red onions and plenty of capers. The two tiny half-moon pickle slices alongside seem stingy until I ask Remsen and Joffe, who admit that many customers leave them on the plate. Since the pickles are made in house, it pains Joffe and Remsen to see so many get tossed, especially since, to my pickle palate, they're delicious. 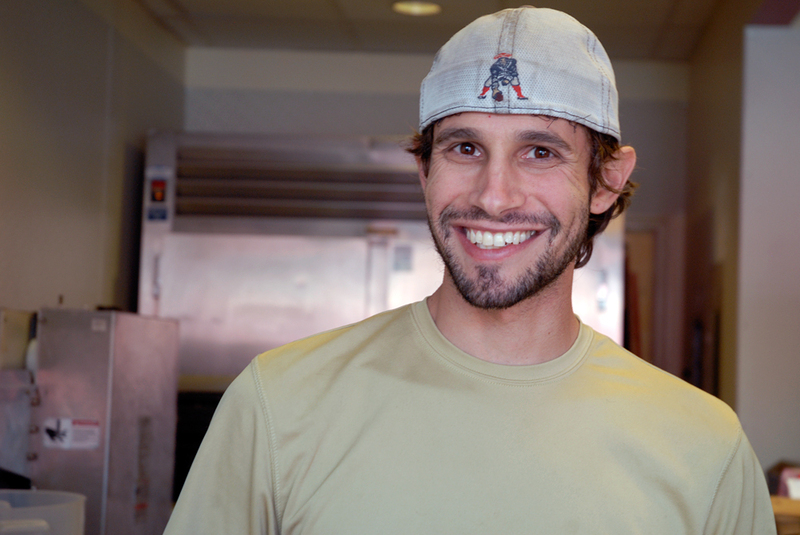 Joffe, a former line cook from Delfina, has the weary eyes of a man whose kitchen workday starts at 4am and doesn't end until some 12 hours later. While Joffe and Remsen aren't paying themselves yet, the business is breaking even now, and supporting 10 employees. "That's one of the things I'm most proud of," says Remsen, of the jobs her business has created in the neighborhood. When they first started baking, they got sage advice from Wise Sons' Evan Bloom, himself a self-taught baker of rye and challah. 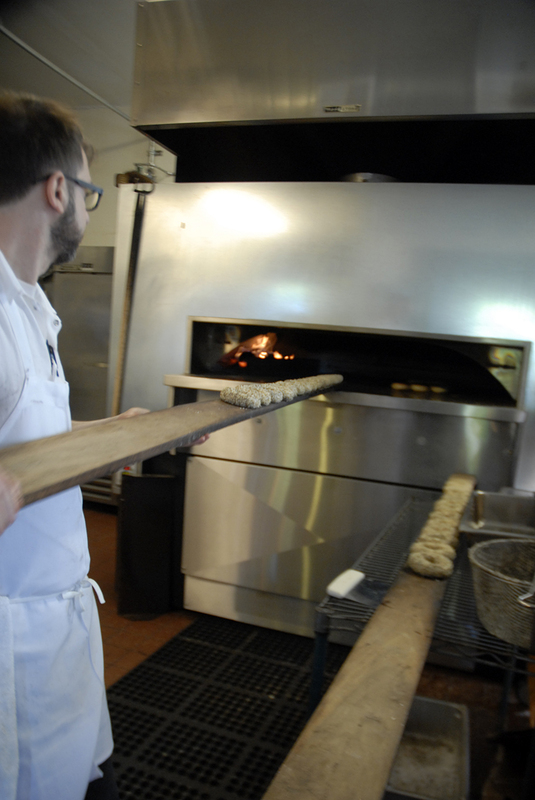 It's bread, and it will break your heart, he told them: different every day, subject to deep, unpredictable whims, subtle shifts in temperature, moisture, even weather changing a perfect batch into a temper tantrum of intractable dough. 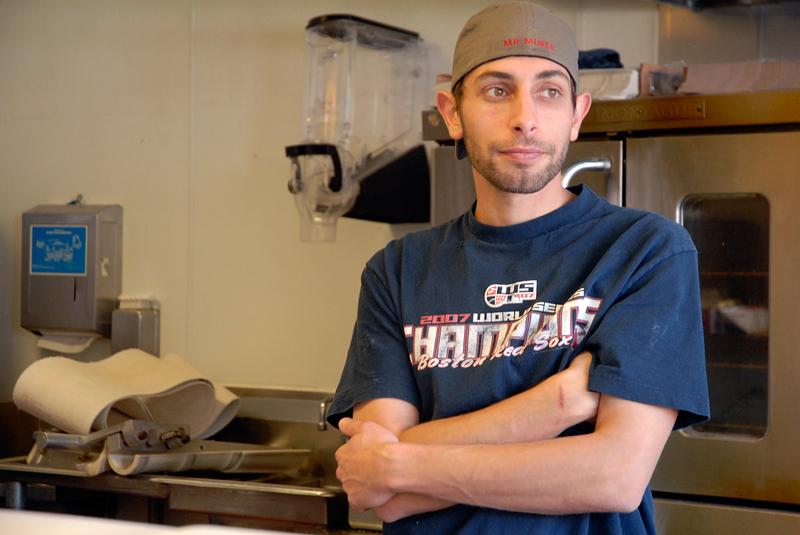 Getting the bagels consistent, learning to work with the new, larger-scale equipment needed to keep up with the shop's demand: it's been a steep learning curve, but now, says Joffe, the bagels are almost where he wants them to be, most days. They've added bialys, not very many yet, so they sell out fast whenever they appear. 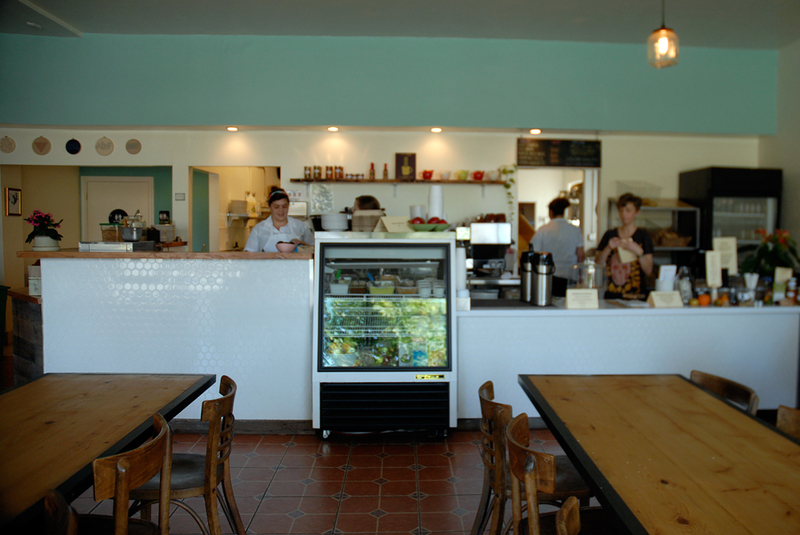 There are plans for an expanded breakfast and lunch menu, not just bagels. Joffe imagines a salad of green apples, Brie, and onions charred in schmaltz, topped with roasted chicken skin. Already, a fried chicken-and-slaw sandwich, a bagel version of the popular lunchtime offering up the street at Bakesale Betty's, is a hit, as is the matzoh-ball soup. 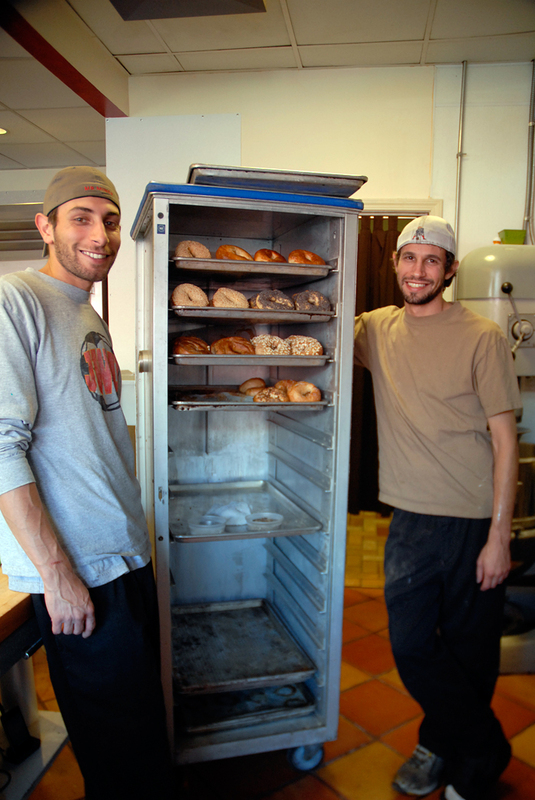 Leaving Beauty's, drop south towards the waterfront, and if it's Friday, Saturday, or Sunday, you can swing by the bare-bones retail space for Authentic Bagel Company in Jack London Square, run by the Providence, Rhode Island-born brothers Jason and Mark Scott. With bare, scuffed walls, a chest-high stack of flour bags in the window and a clutter of mixers and ovens in the back, it's easy to see that the room is mostly the brothers' production kitchen, hastily made over into a retail space three days a week. As a two-man operation with a heap of wholesale accounts, ABC bakes all its bagels in one early-morning shift. 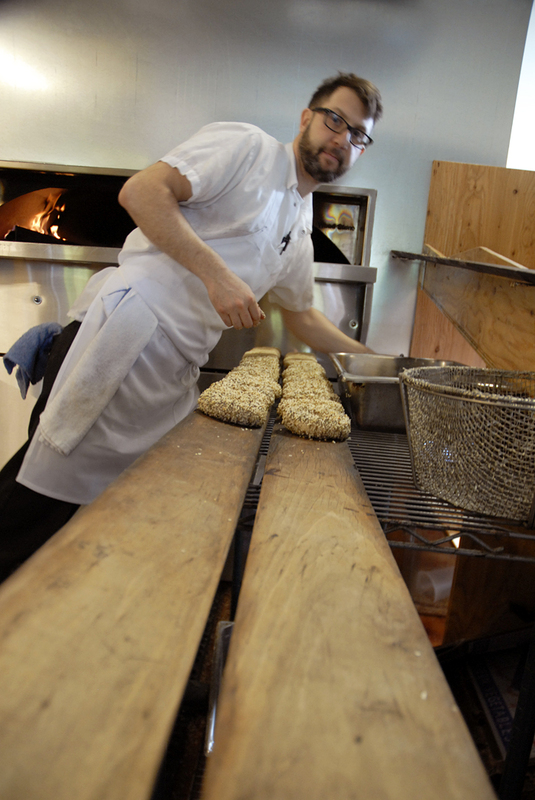 By 4am, bagels are coming out of the oven, ready to be delivered to 15 or 20 cafes and businesses around the East Bay. Three days a week, the rest go onto the trays at the retail shop. So, no hot bagels here. But the bagels are made to be a little more durable, using a slow-risen sourdough base that's held for 24 hours to develop flavor and texture, then boiled and baked. Bigger and a little chewier than Beauty's, they have a craggy, handmade look to them, no small feat when the bakery's turning out anywhere from 300 to 1000 bagels a day. 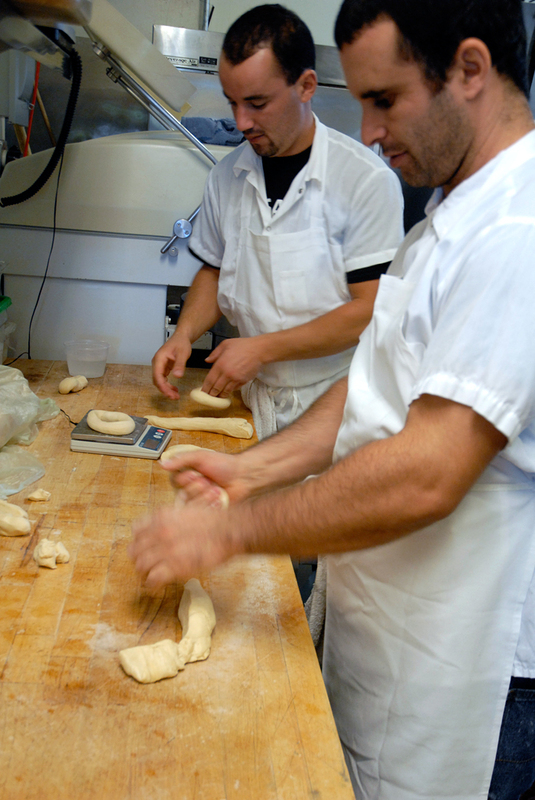 "We wanted to marry a New York bagel with a San Francisco sourdough," says Mark, who, like his brother, has a culinary degree from Johnson and Wales. 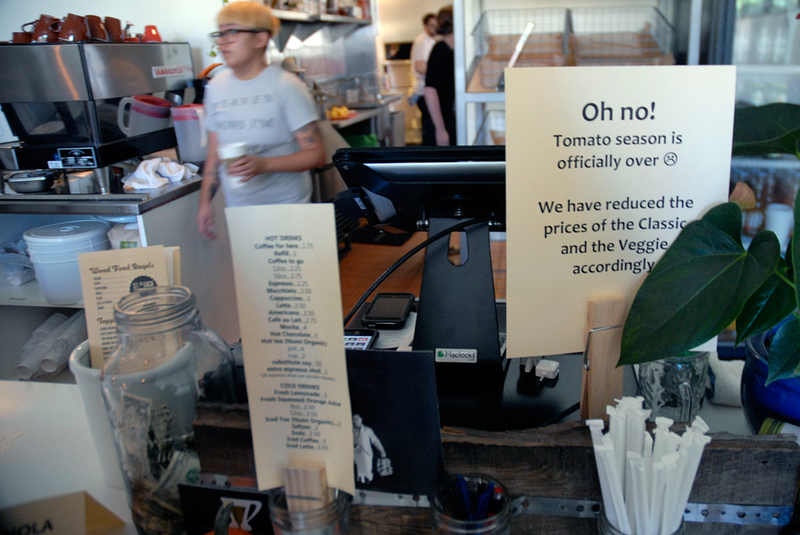 From Italian restaurants in Providence, they moved to managing and cooking in restaurants in Berkeley and Portland, then to Monaghan's on the Hill in the Oakland Hills. 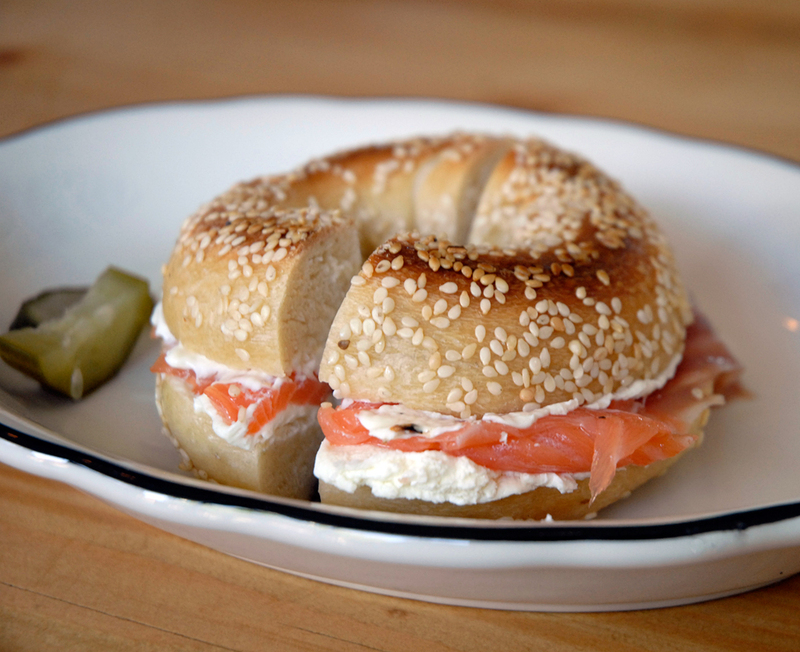 For a Mother's Day brunch menu one year, they decided to offer housemade bagel sandwiches, which were a hit. For the Sunday-afternoon football crowd, more bagel sandwiches, until customers started asking where they got their bagels, and could they buy a dozen to take home? 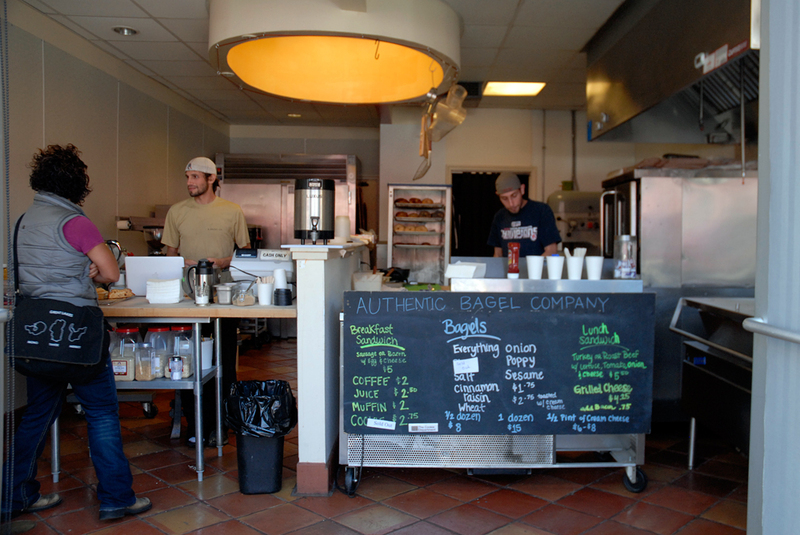 They starting using the Monaghan's kitchen to bake during their off hours, then, last November, they left the restaurant and started their own bagel business, first baking in a commercial kitchen in Emeryville, now in what was once a hot-dog shop in Jack London Square. Their plans? More retail hours, more cafe clients, maybe an employee or two. But mostly, just keep making the bagels.